These pages are a tribute to a man who from the late 1950s, brought a great deal of excitement into many lives. Beneath the show biz glamour, he was a shy, gentle man who trusted people, loved nature and won the respect and affection of everyone whose lives he touched. That influence remains today, as Billy's fans are the nicest people you could wish to meet. 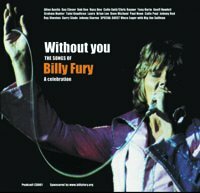 Although his management and commercial pressures led him to become known to the public as a balladeer, Billy Fury was Britain's number 1 rock and roller. 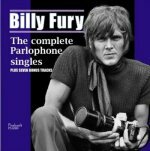 All original material on this site is © Billy Fury: The Story 1998, 1999, 2000, 2001, 2002, 2003, 2004, 2005, 2006, 2007,2008, 2009, 2010, 2011, 2012. Copyright of other items is acknowledged where known. I would be happy to resolve any other copyright issues by acknowledging rights or by removing offending items. Tribute messages from the stars. This album is a wow. Click here for more information about our exclusive 20th anniversary double CD. Record month: April 08, 30,942 visits. Record day: 3 October 12, 6,405 visitors.